The second game on our list might seem a bit odd at first glance, but stick with us. In trying to find games to add to our list for a marathon about doctors and medical things, we would be remiss to leave out one of gaming’s longest standing battles with a fictional virus. “What virus?” you may ask. Why, the T-virus, of course! And it only makes sense that the main character also be a medic. 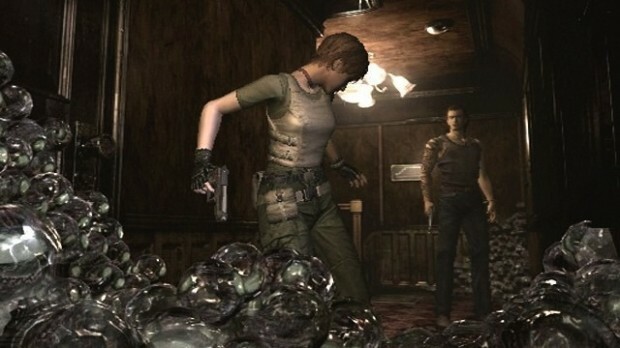 Resident Evil Zero serves as a prequel to the entire Resident Evil shebang, taking place a day before the events of the first game. Here we have Rebecca Chambers (S.T.A.R.S. team medic) and “drifter” Billy Coen (spoiler: he’s an ex-con) getting teamed up to face the evils that exist in the Arklay Mountains around that infamous Raccoon City. Eventually, these two end up on one spooky train filled with ghouls of all shapes. How the designers made a good portion of this game on a train and not have that be really boring is beyond me. But then again, these are the same folks that made a police station exit directly into a giant underground lab of evil, so anything is possible, really. We are putting this game as our second to be played because it will most likely be deep at night before we get to it. Not only will that make it scarier for us, but hopefully some of the more squeamish of our viewers will miss out on lots of gooey monsters. If gooey monsters are your bag, though, please join us in the middle of the night. It’s going to be the best!